The 2014-2015 school year was officially the fastest school year ever! 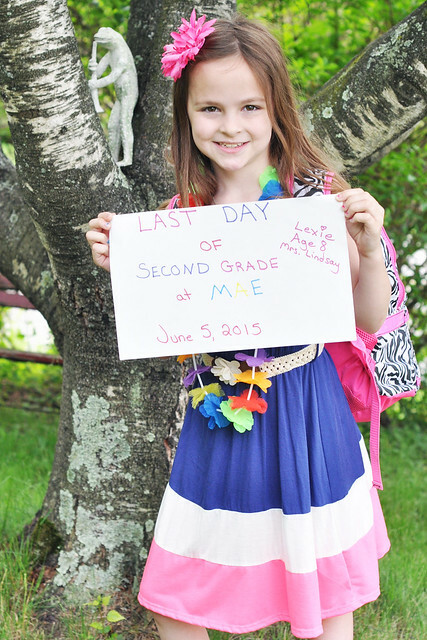 It's hard to believe, but...school's out for the summer! 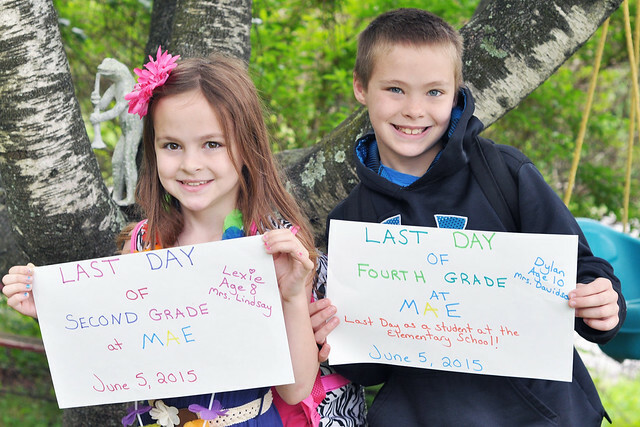 Dylan and Lexie's last day of 4th and 2nd grade was on Friday! I was full of emotions on Thursday night. 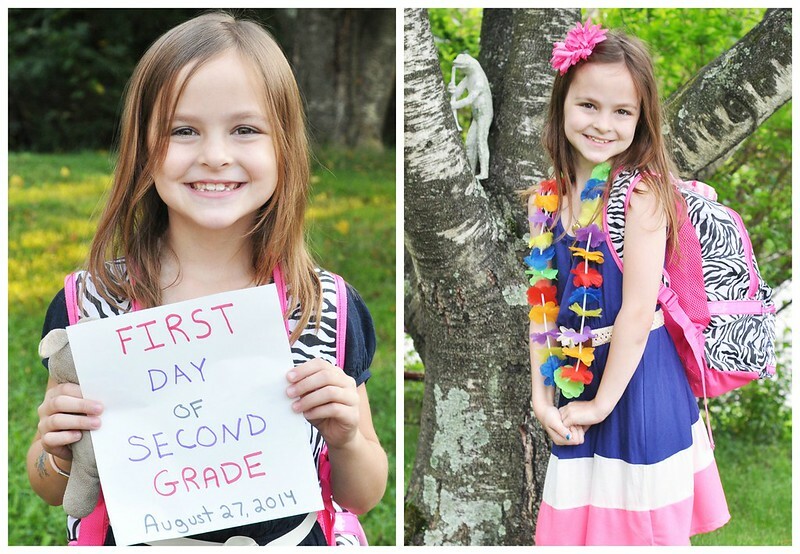 The year just went by so quickly, and my kids are growing up TOO fast. 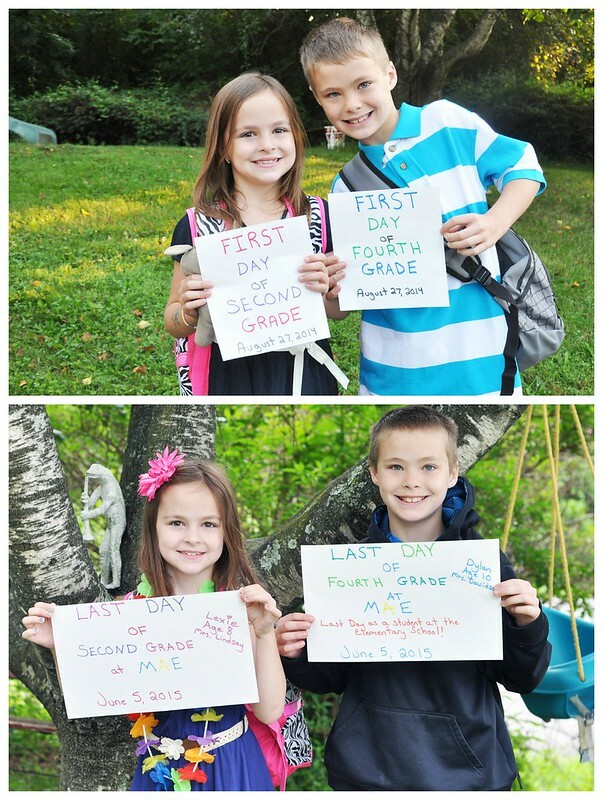 Dylan and Lexie had a great year, and they were blessed with two amazing teachers. Oh, how I wish they could teach them through their entire school careers! It's difficult to say goodbye to somebody you fully trust with your children and to face the unknown of the year ahead. I know Dylan and Lexie were feeling the same way! Dylan had a great year in 4th grade! I could see his confidence build even more this year, and he LOVED school. He is such a polite, loving boy, and his teachers always reminded me of just how sweet he was every time I saw them! 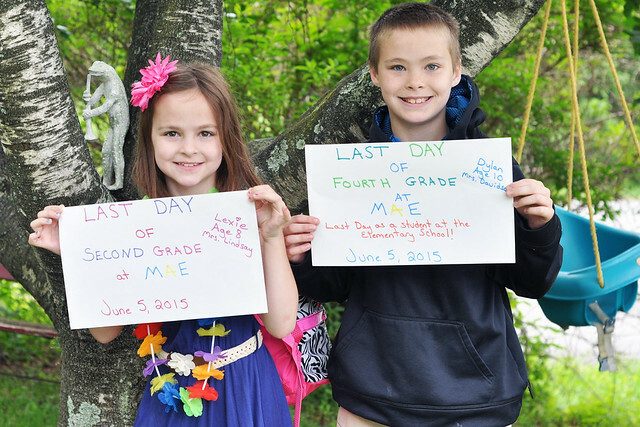 Friday was his very last day as a student at the elementary school. 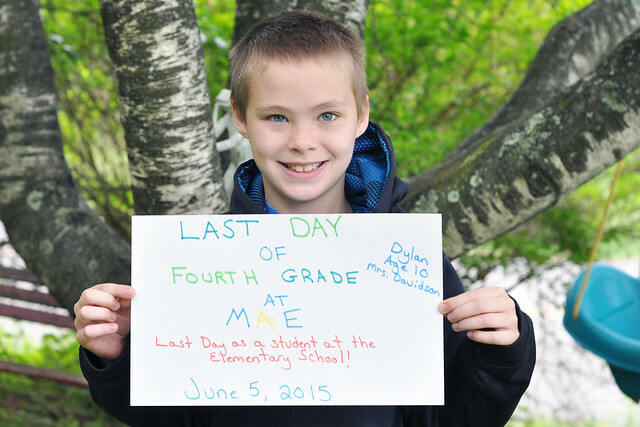 His three years in the elementary school seemed to go by in the blink of an eye. 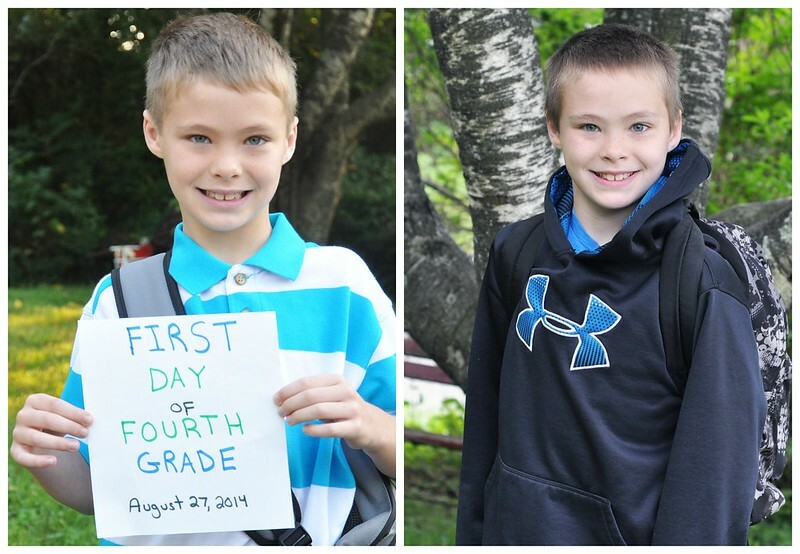 Next year, he's moving up to the 5th and 6th Grade building. How is my baby old enough to go to 5th grade already?!? Just for fun, here are some first day/last day comparison pictures! They didn't change too much! 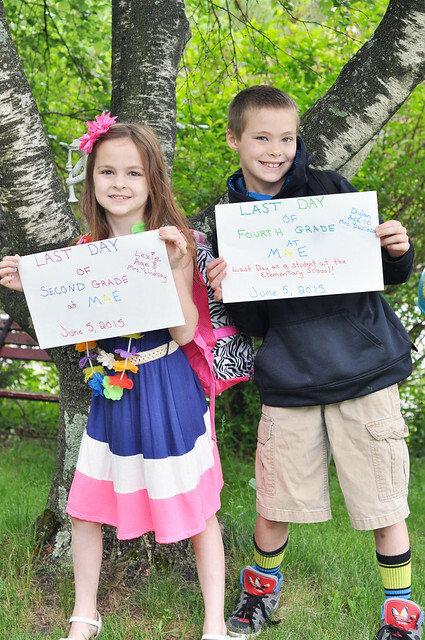 Dylan and Lexie had a difficult time saying goodbye to their teachers and friends on Friday. 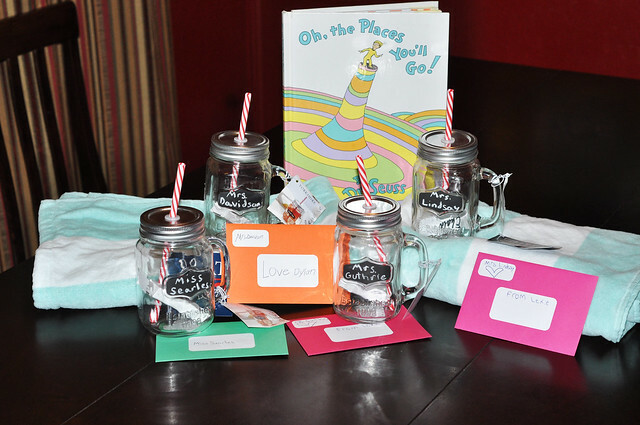 I think Dylan is having the most difficult time because he knows he won't see any of his favorite teachers next year. He'll be in unfamiliar territory and he said he's going to miss the building and the entire staff. Growing up can be really hard at times! Even though they both admitted they were sad the year was over, I have a feeling they're going to have a great summer!!! That's crazy, they didn't change too much, but you can tell they are older! I can't wait to take pictures like this of my little one, she's only five months now but soon enough I'll be boohooing over her first, or last, day of school! They are so cute. Hooray for summer! Thank you so much! Watching them grow really is bittersweet! Thank you!!! It's off to a good start! Thank you! I don't think I realized that either! Love the photos! Great job kiddos. I hope you all have the best summer together! Thank you! It's off to a great start so far!